Another fine effort from the Shah brothers. Peppy and poppy in tone, mostly; check out 'Aaja Ya Aajane De Paas' and 'Do Qadam Tum Bhi Chalo'. And the fab Northern Soul instrumental serving as an intro to 'Yeh Nach Wach Kya Hai'; I kind of wish they'd made it into a separate track. Luckily the subsequent Rafi song is good as well. 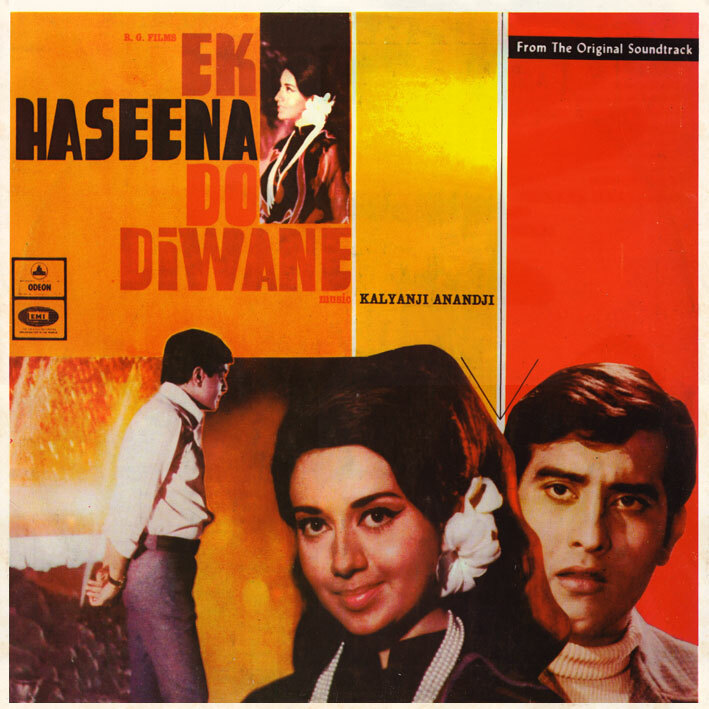 Curiously, my copy of 'Ek Haseena Do Diwane' is pressed under licence in Barbados. And I recall reading somewhere that this soundtrack was in fact only available in/from the West Indies, initially. Very bizarre, if at all true. Love the cover PC (and info...indeed, how bizarre!). Have not seen the movie but love the songs nevertheless. Thanks for sharing. Thanks for this, looks like fun! Just curious, on the vinyl of "Gambler" (1971) that you have, are there any pics of RD Burman on them ?. I am told there were pics of him on the vinyl when it was released. If possible, can you please take a snapshot of these pics ?. The given link "http://lix.in/-76e5a7" opens a window listing several hosting sites like DepositFiles, MegaUpload, etc, but how do we proceed from there? The download links "Click Here" against each one of them don't work. Am I missing something? Please help. Don't know what to tell you really, as 'Click here' works fine from where I'm sitting.